Born on September 12, 1923 in Spokane, Warren Cummings Heylman, received his formal architectural training at Washington State University and the University of Kansas. 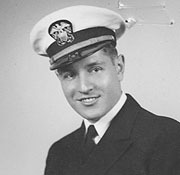 After receiving his architectural engineering degree from Kansas in 1945, Heylman served for a number of years in the Navy before opening his own private practice in Spokane in 1952. Over the next forty years, Heylman’s unique designs garnered him many awards and accolades. His forward thinking and unusual designs were also often controversial among the general public. Projects included the Norman Wells House (1954); the Lincoln Garden Apartments (1962); the Parkade Plaza Parking Garage (1967); the Spokane International Airport; Cathedral Plaza Residential Tower; Hangman Valley Golf Course; and the Riverfalls Tower—all in Spokane. Heylman is also credited with the design for the Federal Building in Wenatchee, Capitol Lake Towers (1973) in Olympia, and the public Library in Colfax (1960). His most controversial project was the Spokane County Social and Health Services Center (1977). The fortress-like building won architectural accolades by his peers, but underappreciated by the public. Despite the controversy, Heylman’s playful forms pushed the architectural envelope to its very edge. Over the years, he was awarded six AIA Spokane Chapter honor awards; received a Concrete Institute Award, and was inducted as a fellow of the AIA in 1983. During his career, Heylman has been active in a variety of community an civic affairs including the Spokane Allied Arts Commission, the Spokane County Fair Board, and the Boy Scouts. Heylman is semi-retired and still resides in Spokane in a home he designed for his family in 1954.